THIS PETITION WAS DELIVERED TO LUFTHANSA IN 2016, BUT THEY FAILED TO REPLY TO IT. Greyhound advocates across the world are unreservedly appalled that nine Irish greyhounds have been sent to Macau, China, to be raced at a stadium which has been referred to across the board as "a hellhole" for greyhounds in terms of overall welfare. 800 greyhounds live in solitary confinement in squalid kennels, sleeping on wooden slats. 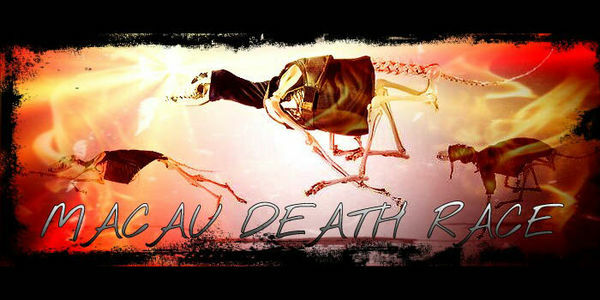 The greyhounds are quite literally raced to death; if they do not come in the top three in five consecutive races, they are killed. There is no legitimate rehoming program at the Canidrome. The greyhounds at the Canidrome will be dead just three years after arriving, if not before. We are greatly disappointed in the decision by German airline Lufthansa to transport greyhounds destined for such cruelty. Lufthansa has an excellent policy against transporting hunting trophies or beagles destined for laboratory testing. Greyhounds deserve similar protection. Other airlines - Qantas and Cathay Pacific - refuse to transport racing greyhounds to a torturous life and certain early death at the Canidrome. We are apppealing to Lufthansa to no longer offer racing greyhound freight services to Asia. We, the supporters of the campaign Stop Exportation of Greyhounds from Ireland to China, a coalition of international campaigning organizations from several continents and individual greyhound advocates, are appealing to you as main decision makers at Lufthansa / Lufthansa Cargo. We believe that Lufthansa’s decision is not in the spirit of German animal welfare legislation, which emphasises that it is the responsibility of human beings to protect the lives and well-being of their fellow creatures; flies in the face of Germany’s ban on betting on greyhound racing and the German public’s love of rescued racing greyhounds; and makes no sense when held up against Lufthansa’s commendable policy on hunting trophies and testing laboratory beagles. Hence, we are asking you to reconsider your position. Despite having transported greyhounds destined for the Canidrome Stadium to Hong Kong in the past, when Qantas volunteered to “no longer offer racing greyhound freight services to Asia” and Cathay Pacific committed not to transport racing greyhounds, their reputations amongst the general public were greatly enhanced. We are positive that Lufthansa’s would also be if it were to follow suit. Please show us that Lufthansa is an organisation truly committed to protecting all animals by agreeing not to offer racing greyhound freight services to Asia. This petition will be sent to Lufthansa on 6th June to synchronise with a meeting between SEGIC's campaign associates, Grey2K and ANIMA, and Lufthansa in Frankfurt. We wish them luck and thank them for representing the 185,000 signatories of this petition and all those greyhound advocates who have worked so hard on this campaign at that meeting. If Lufthansa do say yes, it will be thanks to all of you amazing people! On May 12th, the GBGB stated that it "does not advocate the export of greyhounds to jurisdictions where welfare standards cannot be verified and will take the appropriate action against persons that knowingly supply greyhounds to such countries." And yet Lufthansa remains committed to flying greyhounds to such jurisdictions. Qatar Airways, the airline that had taken a booking for 24 greyhounds on a flight from Heathrow to Hong Kong but did not fly them, has stated, "To date, Qatar Airways has never transported a shipment of greyhounds to China. Due to animal welfare concerns, Qatar Airways also has no intention of doing so in the future". So, now Qantas, Cathay Pacific and Qatar Airlines have refused to transport greyhounds to Macau. If they can do it Lufthansa, so can you! Dogs Trust, the ISPCA and the Irish Blue Cross have had their letter to the Irish Government published in the Irish Times http://www.irishtimes.com/opinion/letters/export-of-irish-greyhounds-to-macau-1.2638364. The call to Stop Exportation of Greyhounds from Ireland to China is coming from a wide range of organisations as well as a vast number of individuals across the world. How many of us have to say NO to this for the Lufthansa to do the right thing?